The World Masters, sponsored since their second year by Winmau and because of that often called Winmau World Masters, took place fort he first time at the end of August 1974 and are the oldest and longest running darts tournament of the BDO. They really are originally a BDO tournament as the WDF was not even founded when the tournament was played first. 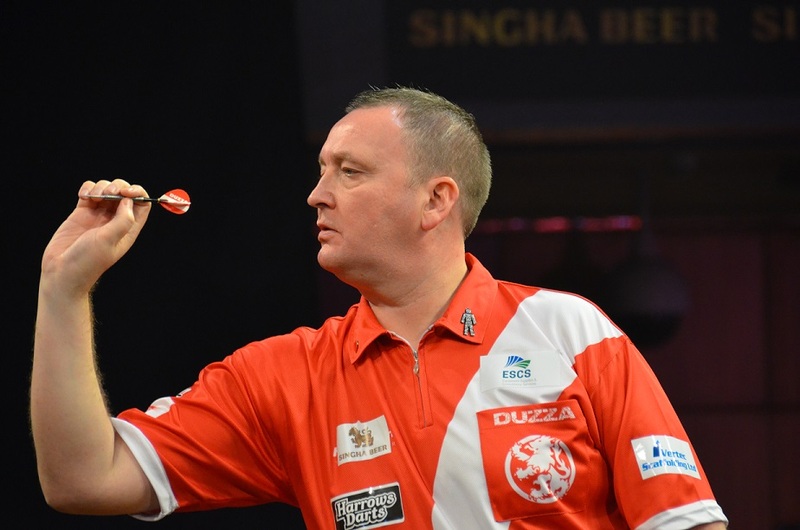 Today the tournament is sanctioned by the WDF and organised by the BDO. The person who had the idea for the tournament was Eddie Norman, an English darts promoter, entrepreneur and tournament secretary of the in 1973 founded BDO and he from the beginning had an international tournament on mind, some kind of "World" tournament on mind, a Master tournament as played in other sports, which would help to promote darts all over the world. So even before he talked to Olly Croft he looked for support from his friends all over the world for example Bob McLeod and Tom Fleetwood from America or his Scottish acquaintance Frank Quinn. But he soon realised he would need Olly Croft and the new BDO as well and had no problems to convince him and his wife of the idea. It was Olly Croft who managed to find a sponsor though only for the first year. After that Winmau took over, as even the first tournament was played on Winmau boards and it doesn't look Winmau intends to stop to sponsor it after all those years. In the first year 22 international players lined up. In the final the at that time very popular English player Cliff Inglis defeated the as well known Scotsman Harry Heenan. In the second year already players from 13 countries competed and 1976 the winner was no other then John Lowe. 1979 for the first time a player not from the UK reached the final -the Canadian Allan Hogg but it took some more years before the first non British player won it - the Belgian Erik Clarys in 1995. The British players still dominate the Masters but some more non British mixed under the winners like Raymond van Barneveld or Michael van Gerwen. Bob Anderson was the only one to win it in three successiv years, during one year he was World Champion as well. Eric Bristow in every year he could win the World Masters was World Champion too. The World Masters are played in sets. 1982 a Women's Championship was introduced and 1986 a mixed youth championship which run till 1998 and then was separated into a Boys and a Girls Championship. The World Masters are always played at the last weekend in October and after several other venues seem to have settled in the Spa in Bridlington though in 2010 they have to move to Hull because of some other events in the Spa. 2016 the tournament will be played in the Lakeside Country Club in Frimley Green and the date changed to the beginning of December. There are different ways to qualify for the World Masters. Some participants are decided by national qualifications. Some players are invited who played successful in the years before of have won one of the Open tournaments around the world or the World Cup or another Cup. The WDF only invites the players, the participants have to pay everything themselves but the national organisations often take over the expenses. The winners of the Ladies and the men's tournament are qualified for The BDO World Championship. For the highest checkout on stage there'll be a bonus of 1 000 pound.